Thanks so much for the question, Lisa – this is actually a subject so many of you have raised both in private sessions and on the blog, so I’m glad we can address this! I get emails from Twin Flames every single week whose situation has improved greatly because of these tools. You can read about some of their experiences here. Before I go onto answering your question – it’s important to note that because each individual situation has its own variables and each of us have had different experiences in life, this can’t be a definite resource that gives anyone a “shortcut” to figuring out what works best for them. You yourself have the “blueprint” to your Twin Flame journey. Always listen to your intuition, follow your heart. Your energy and your intuition will tell you more and help you more on this path than your mind can, so check inside – what feels light and joyous right now? What option feels lighter and more inspiring to you? That’s most often your answer. If you find this exercise tricky, it means your energy is likely congested and you could benefit from clearing your aura and your chakras of any static that’s blocking you from clarity (read more about chakras on the Twin Flame journey here). Remember that although your Twin Flame might be completely unaware of your connection on an earthly ego-level, their soul is in full understanding and is seeking you at every opportunity. 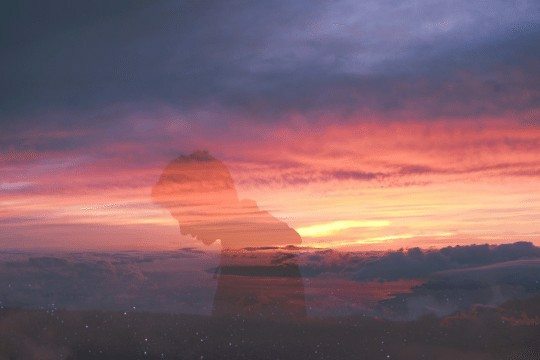 Your Twin is completely aware of your connection on a spiritual level, but often in the “still asleep” this knowledge is buried so deep under layers of earth-based energy and habitual beliefs that they cannot access this information on a conscious level. Spirit often reminds my clients that life on earth is akin to a play: the average human being is infinitely more powerful and aware of themselves than they tend to think. They are simply stuck in the “role” they’re playing. This means that beneath the layers of “role-playing” they are fully aware of the existence of Twin Souls and their connection with you. Aside from actually triggering deeper seated knowing in them, this can provide you with a conversational path that eventually leads onto the subject of Soul Mates and from then on Twin Souls. In other words there is a high likelihood that your Twin has had dreams of you as well – by raising the subject this way, you allow them to feel safe to share. The way I first was made aware of my Twin Flame was through winding side roads like this and he was very careful of helping me to understand the connection myself, rather than being told straight out to start with. Often we can lead someone to understand (or in the case of Twin Flames, remember) in a subtle way that triggers understanding rather than forces facts on us. Our spirit guides speak like this: they provide metaphors and allegories that communicate to the subconscious mind and thereby bypass any defense mechanisms and disbelief we may have. So broach the subject gradually and plant seeds that will have your unawakened Twin wondering and searching themselves – this way you’ll avoid any resistance and potential disbelief. …by discussing matters that pertain to deeper consciousness and the beyond – the nature of existence. Ask them their opinions about space, life and death, reincarnation and love. These are all subjects that the conscious self are not fully able to explain and most human beings will have an inner knowing of what they believe – in this way you are encouraging them to access their soul and their intuition. This in itself is highly beneficial in awakening them to their true selves. Maybe ask your Twin if they believe in true love, and if they don’t, maybe ask them why – most often this will be due to negative beliefs they have taken on in life and things they have seen around them, and asking them about this will trigger them to rethink some deep-seated assumptions. Again, this can be an important trigger to awakening and inner realization – as spirit says “rattling loose the façade”. If you are in a romantic connection with your Twin, tell them how different your relationship is to anything else you’ve experienced. If you’re friends, do the same. Express surprise at things you’ve experienced together that you’ve never had with anyone else. 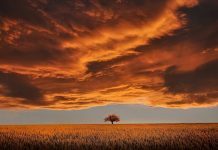 Chances are you – as all Twins – will have had unusual, “supernatural” aspects to your connection coming up even at the beginning of your journey. Ask your Twin subtly how they feel, if they’ve experienced this before. Ask them what they think it means. Tell them about Twin Flames from a neutral standpoint, as if you’ve read a story in the newspaper you felt like sharing. Mention it as a fascinating story, and see how they react. Allow them to understand in their own time. Even if they don’t open up or seem convinced to start with, you have sown the seed of Awakening. As your Twin already knows these things on a soul level, any mention will start to gradually permeate their inner psyche and help wake them up to the spiritual reality of your situation. 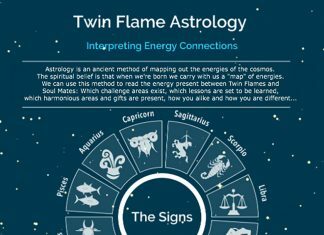 Connect directly with your Twin Flame on a soul level using energy tools and meditations (such as the ones in the Free Twin Flame Help Kit I offer). It will also help to begin clearing away any congested energy between you (thereby “peeling away” the layers of unawareness that’s keeping your Twin Flame’s conscious self from realizing who they really are and what your connection is – you can learn easy energy clearing tools in the Vibrational Alignment Program I offer). Connecting with your Twin on a soul level is the most powerful way to trigger remembering from within. Spending time interacting with your Twin in meditations and on the astral plane (remember to protect yourself on your adventures) will strengthen the connection between you and gradually permeate further “up” into their conscious awareness. Working this way will nearly always cause even an Unawakened Twin to have more dreams about their spiritual counterpart, to think of them more often, and it will greatly increase chances of telepathic communication and remote interaction. Learn to enjoy your connection as a wonderful and deep and intense relationship, and side-step your analytical mind’s desire to tell your Twin Flame what it all means. The real truth is that there is no need to understand the connection in terms of concepts like “Twin Flames” or “Twin Souls”. The process would continue on a soul level regardless! Throughout history many Twins have met and interacted and enjoyed their connection without ever understanding exactly why they felt the way they did, or what it all meant. Before you mention anything to your Unawakened Twin, make sure it feels right. It could be that you can have a wonderful relationship without ever having the need to place a “label” on it. Sometimes a concept like Twin Flames can feel restrictive to a person, as if their life is suddenly not their own – the idea that things are predetermined can be very distasteful to some. Be sure that it feels right before you take that step to raise this issue with your Twin. Want more? For an easy, fun way to manage your mindset, elevate your vibration and harmonize your journey with your Twin, have a look at the Vibrational Alignment Program for Twin Flames. And if you want to know what experiences other Twins’ have had with the program, click here. Alternatively you can try our Free Twin Flame Help Kit, which contains powerful excerpts from the full program!